Hitting shelves January 16th, H&M cordially invites their shoppers to jump on the Olympic bandwagon and channel thier inner Olympian with their debut Swedish Olympic Team Line. Rolling into stores this week, you will have the opportunity to dress to impress with wallet-friendly renditions of the Swedish Olympic Team. The doppleganger outfits are described as a fast-fashion line with bold colors including cobalt and yellow snakeskin prints. Furthermore, the Swedish Olympic Team actually played a huge part with the design team, as they made sure everyone watching could go for the gold with items fit for a world-class athlete. 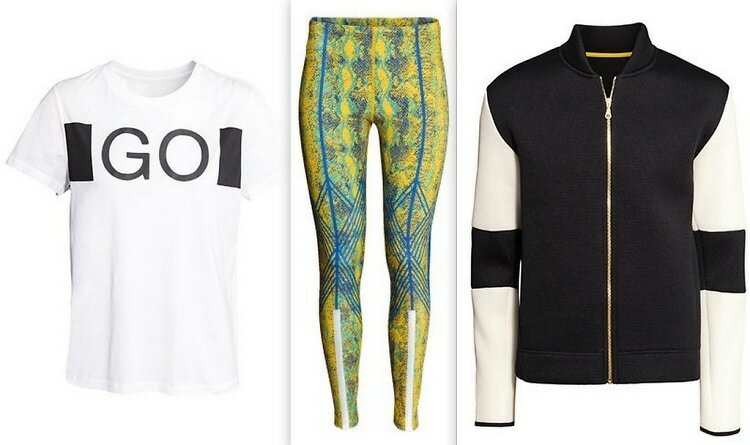 While the 2014 Winter Olympics are weeks away, we have rounded up 6 essential pieces from the line to help you stay chic as you cheer on your favorite teams competing in Sochi!